Fat is often given a bad reputation but it plays several important roles in your dog’s diet. Firstly, the fat in your dog’s diet is the most concentrated form of energy (calories), providing nine calories per gram. Carbohydrates and protein provide less than that amount, at four calories per gram. In addition, fats are used in the body as structural components in cell membranes. 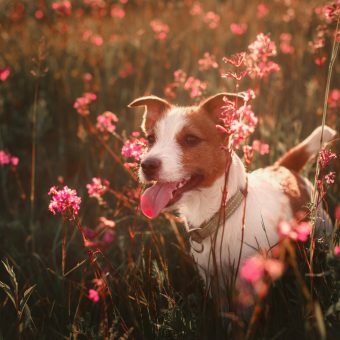 They carry the fat-soluble vitamins (A, D, E, and K), keep your dog’s coat shiny and healthy, are part of the production of hormone-like substances known as prostaglandins and fat is also part of the reason why your dog’s foods taste so good. The time when fat in your dog’s diet becomes a problem is when your dog eat too much fat compared to his or her energy requirement. Extra fat is converted to body fat and stored in fat cells. If your dog’s diet is too high in fat it may lead to obesity or acute pancreatitis. If the fat becomes rancid, it destroys vitamin E and A and linoleic acid, leading to deficiency of these essential nutrients. If fat levels are too low, your dog can develop dry, itchy skin and a dull coat. Other potential health problems include a decreased immune system, heart disease and diabetes. The type and quality of fats are very important. 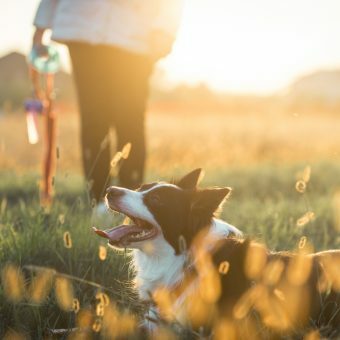 Just as your dog needs a variety of amino acids (proteins), vitamins and minerals, he also needs a variety of fatty acids which are the building blocks of fat, just as amino acids are the building blocks of protein. They can be classified as essential and nonessential. Essential fatty acids are those that your dog needs but cannot manufacture. It is essential that the diet provides these. The essential fatty acids are divided into two groups called Omega 3 and Omega 6 fatty acids. It is important that fatty acids in both these groups are provided in a specifically balanced ratio to avoid health problem. Many studies have been done and the best Omega 3 versus Omega 6 for normal healthy dogs seems to be around 1:3 – 1:5. However, in some cases, for example when dealing with skin diseases, Omega 3 is especially important and therefore the ratio can be as low as 1:1. Good sources of Omega 3 fatty acids are fish oils such as sardine, salmon, etc. (not cod liver oil). Good sources of Omega 6 fatty acid are chicken or turkey fat. 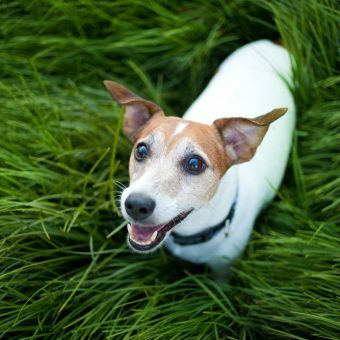 If you want to know more about the fats in your dogs diet please click here.